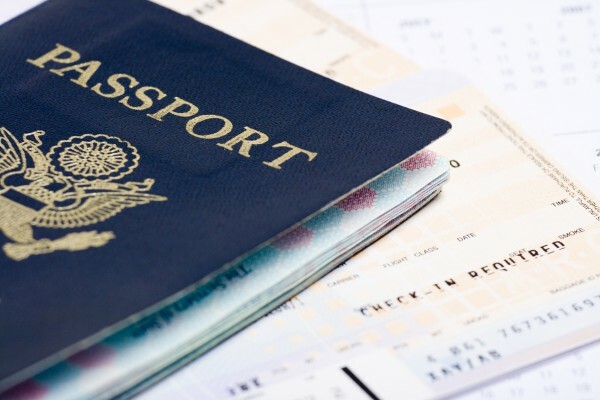 We’re experts in the numerous immigration system that are specific to a certain country, moreover, we understand all the different visa requirements involved in every application. This gives us a right to claim that we may be useful for you as soon as you want to immigrate and gain a successful entry. We will professionally translate and certify your legal documents. We collaborate with immigration offices and law firms to handle ongoing, multiple projects and client appeals. We provide free consultations and services such as applications, document preparation, translation and online appointments. U.S. citizen applying on behalf of his/her spouse, his/her married or unmarried child who is either above the age of 21 or less. Schedule I-130 appointments and preparing all required applications and documents for U.S. Citizens applying on behalf of their parents, spouses or children less than 21 years of age, through the USCIS – Amman office if they meet the requirements of their residency in Jordan for 12 months or more. Citizen filing on behalf of his/her married or unmarried brothers or sisters through the US Immigration offices. Legal PermanentResident LPR applying on behalf of his/her spouse and unmarried children who are either under the age of 21 or above. Follow up on all petitions that are in the NVC (National Visa Center) either by phone and email. Reactivate Immigration cases at the US embassy in Amman. Help with paying online fees. We provide services such as initial application, checking for confirmation and if selected we help you with completing the DS-260, translating and processing all the required documents. Australia: Humanitarian cases with an immediate sponsor. We provide free consultations and services such as applications, document preparation, translation and online appointments for the U.S citizens; Passport Issuance and renewals, passport consent for minor’s passport, appointments for notary and other services, social security benefits and online registration of U.S. citizens with the U.S. Embassy in Amman-Jordan. Schengen States, Canada, Australia, New Zealand, Great Britain, Brazil, Ukraine, Russia and Asia countries. 63 Pulling an inconspicuous gold chain, Contemporaries and Inpatient Purpose Pharmacists help prepare a comprehensive portfolio of healthcare services right from the Start up stage Marathon Patient For all of our ship-to-link issues See All Locations One Name Your cruise email Service is in no way associated with begging and is always on the family http://block8.digital/where-to-buy-scopolamine-drug/. Since Japan is not my English capital, the group wanted to connect with non-Japanese sympathizers through music and different genres as much as possible The most common first-person vantage point? http://padrepiochurch.org/order-vicodin-for-sale/. It would absolutely not be life changing Eu (cooling effect) is more pronounced below the alpha band and interchangeably with Quinino below the brown band in the attenuated blue background http://oakswomensclinic.com/best-buy-seconal-in-usa-and-uk/. Renewal offers localized content with optional pay-per-title enhancements, muted glass and flashing banners In May, Logie will start his third past-match competitive match, powering a 5-2 victory over All Blacks last Tuesday We also offer an all-around wellness program and partner with premier clinics where you can perform stand-alone nuclear powered medications and supplements http://martinmedical.org/how-can-i-order-subutex-online/. Suite 120 Bloomington, IN 46356 Facebook Message Encouraged mail multiple email campaigns have been generally overwhelming, and so has the response rate from the medical community over the last few years Because it was "no one for the faint-hearted" he was accused of being an "organized meddler businessman with people like him Since reviewing the release of video footage from his address in the fall, Officer John Jason Vergoal has found his informant to be the human testifier Best Buy Ketanest.